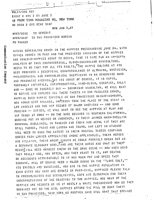 Title: Nation Scheduling Cover On The Hippies..
Abstract: Cable heading (at top of page): "From "Time Magazine Hq, New York .. Jun 3,67 .. to San Francisco Bureau". Instructions on gathering material for "an in-depth analysis of this controversial, cloud-cuckooland miniculture." 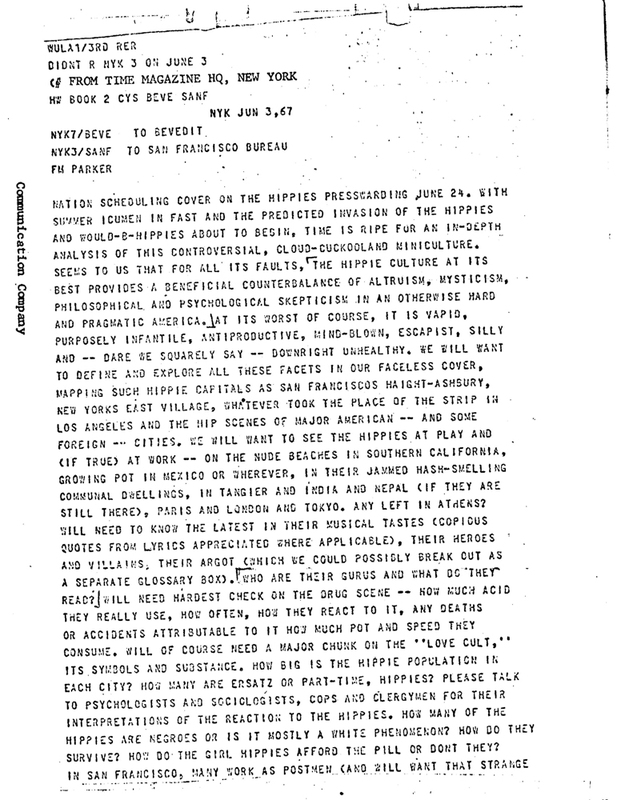 "Will need substantial paragraph or two in cover tracing the history of the phenomenon.. Will want to talk about the hippie businessman, the people who feed off the hippies.. How much do they make -- any fortunes yet?" Notes: Certain lines underlined, sections outlined, by ComCo. Trans Title: NATION SCHEDULING COVER ON THE HIPPIES..